Manufacturing of the PS Vita will come to an end in Japan in 2019, according to Sony Interactive Entertainment senior vice president Hiroyuki Oda. Japan is the only remaining market where the PS Vita is still being sold, but this will come to an end after seven years since it’s release. For the moment, Sony has no plans of releasing a successor. New games are occasionally still being released for the portable console, but with this announcement, that too will end. 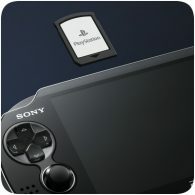 Nintendo has shown that there is plenty of people still interested in portable gaming, but will Sony be able to compete is this already dominated market? For the foreseeable future, it looks like Sony will be sticking to the home console market and VR gaming. Source: Gematsu, via The Sixth Axis.